Monitor Newsletter 186: Internet of Things - Is it Everything you're Hoping For? * The Internet of Things - Is it Everything You're Hoping For? This month a Windmill customer was having problems with a data acquisition device that was suddenly stopping, seemingly at random. The Internet of Things - Is it Everything You're Hoping For? The Internet of Things, or IoT, comprises all devices that don't need direct intervention and can communicate via the internet - from home automation products to industrial machinery. What can the IoT do for You? It promises much - savings in fuel, energy and money; better performing and longer-lived machines; greater knowledge; increased safety; major efficiencies; productivity gains...the list goes on. To connect something to the Internet of Things you start by embedding sensors to collect data. 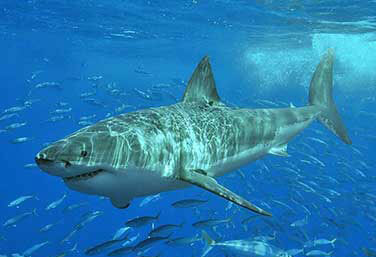 One example I like is of Lydia, the Great White Shark. Researchers have tagged her, and every time she visits the surface she pings back her position. You can see Lydia's massive 6000 mile track at http://www.ocearch.org/?profile=lydia. All IoT sensors need to send data to the outside world, eg through Wi-Fi, Bluetooth, Zigbee or Ethernet. Software is also needed to process the data. Is it a Flash in the Pan? Not according to researchers. Cisco, a networking equipment company, predicts that by 2020 there will be 50 billion things connected. Another forecast, this time by IDate, estimates the number as 80 billion. Higher yet is market research company IDC's projection of 200 billion things by 2020. Also in the news this month was the announcement that Google had paid $3.2bn for Nest in its largest acquisition of a private company. Nest produce stylish smoke alarms and thermostats which rely on a smartphone app for remote control. Its turnover is around $300 million. Google is betting on the Internet of Things being a huge opportunity. Of course. Proofpoint, a data protection company, reported just last week that a fridge had sent thousands of malicious emails. (1) While IT experts have long predicted security risks associated with the Internet of Things, this is the first time actual proof of such a cyber attack involving common appliances. Equipment that can predict its own failure before it occurs, letting maintenance engineers replace parts when they are needed rather than after a set time. Imagine that each part in a train had its own sensor and was monitored individually. Maintenance would become much easier and more efficient as each part would report on its condition - the brakes, the air conditioning, thermostats. The same is true for manufacturing machines and process plant. Some insurance companies are issuing devices which monitor the amount of miles drivers do, their speed, braking and accelerating habits, and so on. Tailoring insurance to individuals. Pill bottles which tell you when you've forgotten to take your medication. A whole new meaning to baby monitors. Buildings that send reports about their structural health. 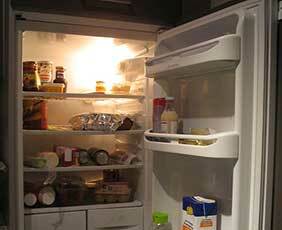 Oh, and fridges that can tell you when the milk's gone off. If they are not too busy sending spam emails. In Excel, I can successfully paste the link "Windmill|Data!AllChannels" and obtain all data in a horizontal row but cannot produce data in a vertical column. Is this possible? Trade show for the electronic systems industry. Exhibition for scientists using analytical instrumentation. With lectures from leading scientists. International automation, instrumentation and control exhibition. Design, automation and test in Europe. Welcome to our round-up of the data acquisition and control news. Using arm sensors that can "read" a person's muscle movements, researchers have created a control system that makes robots more intelligent. The sensors send information to the robot, allowing it to anticipate a human's movements and correct its own. The system is intended to improve time, safety and efficiency in manufacturing plants. A new highly sensitive portable sensor can test the air for the most damaging greenhouse gases. The device uses a thumbnail-sized quantum cascade laser (QCL) and tuning forks to detect very small amounts of nitrous oxide and methane. The Fieldbus Foundation has released the final specification for integration of ISA100.11a wireless field devices into its Foundation for Remote Operations Management technology. Thousands of honey bees in Australia are being fitted with tiny sensors as part of a research program to monitor the insects and their environment using a technique known as 'swarm sensing'.